As it often happens in typical modernist buildings, several stories coexist at La Casa de les Punxes, our offices in Barcelona. Some are related to ancestral myths, others are created by the hundreds of people who visit the place every day, still others follow the path of the people who work there. 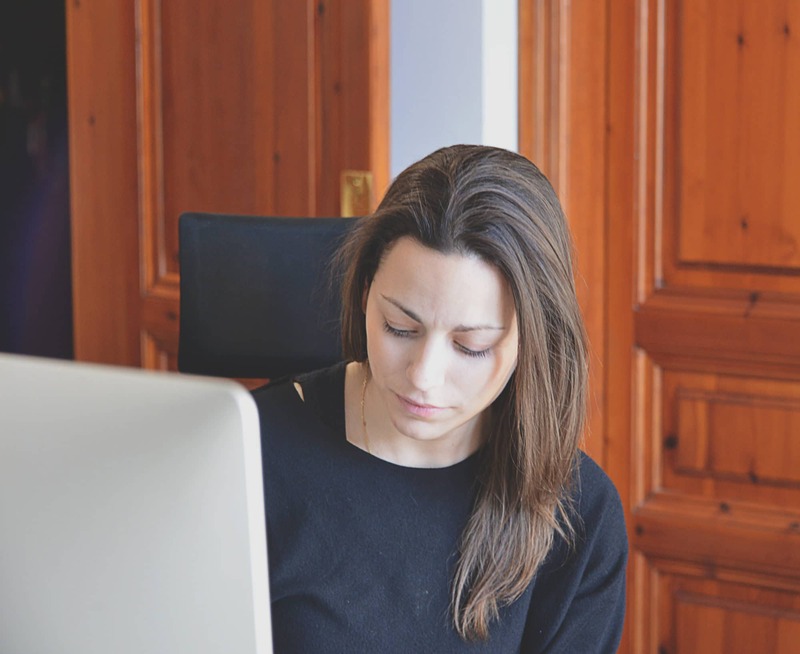 Marta Rovira, our Art Director, has her own story to tell. Ten years ago, Marta graduated in two fields: Commercial Management and Marketing on Window-Dressing, and Graphic Advertising. With her head full of questions about what her professional future would look like, she met a team in Sant Felíu de Codines, a team made of individuals who shared her interests: “That’s a good start!”, she thought. That is how in 2010, a new story begins, with unexpected developments. She joins the agency in the Final Artwork department. It is actually quite difficult to imagine Marta in that position once you get to know her since what is striking about her is her skills in design, she is a “real” creative person with a keen sense of observation. She now realizes the importance of that first chapter of her Logic Design story, without it, she would not be in the position she is now: “It’s opened up the door to the creative department for me. With that first experience, I built a solid background which is now highly important when I am designing.”. Marta makes the most of her time in all matters. For example, she wakes up very early on the weekends to enjoy an empty city or to have a weekend getaway in search of inspiring adventures. She turns all these experiences into material for her personal project @dementesdispersas, another chapter of her story that was born after discovering more about herself when working on a challenging project for the agency. “Sometimes we receive projects requiring certain designer skills and it is only after grabbing your pen that you realize if you are able to do the work or not. New challenges lead to opportunities you would never have thought were there in the first place!”, says Marta thinking that five years ago she did not know she was an illustrator. Marta has a passion for design. Always curious about the creative world, she attends creative conferences, keeps up-to-date with what is currently going on and makes use of anything she finds on her Instagram feed! Her story at Logic Design seems to have reached the most exciting point, similar to that moment when you cannot stop reading a great book. She has professionally grown in the agency to the point where her profile becomes totally unique since it blends the expertise of Final Artwork with the skilled designer’s eye. What does the future hold for her?